I was very pleased to attend and have the opportunity to “pitch” at the Brisbane Pitch Club event held at the Caxton St Hotel on Wednesday13 November. 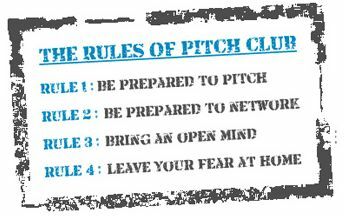 If you’ve not yet heard of Pitch Club – it is an organisation that runs events Australia wide – where Entrepreneurs, Startup Businesses and Ventures (many looking for investment) have an opportunity to “pitch” their business idea. At the event 9 ventures (and 1 ‘Lucky pitch’ drawn on the night) get an opportunity to step into a miniature boxing ring where they have 90 seconds to ‘pitch’ the concept of their business to a crowd of investors, business angels, VCs and other entrepreneur enthusiasts. Then 3 or 4 finalists (selected through group voting) have 5 more minutes with the audience before the winner is chosen by all. This was Brisbane’s second Pitch Club event (the first was held in March this year) and the evening was a great success. I had the opportunity to present the “SpaceOut concept” to a focused group of approximately 100 of South East Queensland’s entrepreneurs, investors and business advisers, and had a chance to chat and network with many of them as well. Whilst 90 seconds is very little time to get the concept across, – I found it to be a very worthwhile exercise having to reduce the 5 minutes of things that I simply” had” to say down to a mere minute and a half. I was not completely happy with my pitch on the night – fumbled and bumbled a little, and didn’t quite get to say everything that I wanted to, but I did manage to get the overall concept across, and had a lot of very interesting discussions with a wide range of people later in the evening. My pitch can’t have been all bad, because I was awarded a “prize” to attend a business development seminar to be run by QUT Creative Enterprises, and provided with an opportunity for a couple of hours face to face consulting. As a direct result of this pitch -and subsequent networking, I’ve also managed to schedule a few other meetings over the next few weeks and feel so much more informed about some of the great opportunities for developing innovation and small business in Qld. All in all a great night, resulting in lots of fabulous opportunities and outcomes for the future development ands growth of SpaceOut. Is Your Home REALLY an Asset?